Life may challenge you from the worst case ever. But don't be too afraid of fighting what's for you and what's for the better. 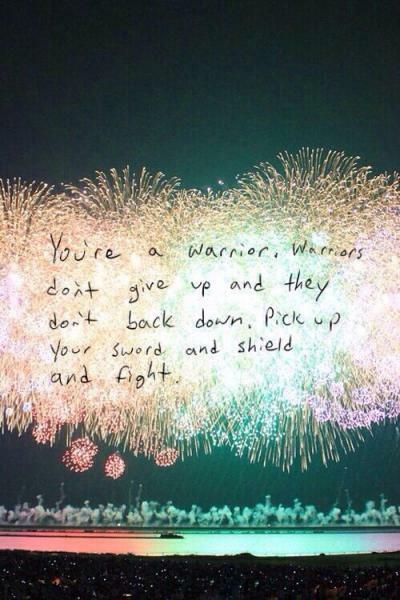 You're a warrior, warriors don't give up and they don't back down. Pick up your sword and shield and fight. Look around at your life, and where you're at right now. If you don't like where you're at keep fighting until you're somewhere else. Fighting is experienced by all in one point of time or other whether it is with friend, brother or sister or with the spouse. Fighting is not with the enemy always. To put it in funny way, Mark Twain once said, “it is not the size of the dog in the fight, it is the size of the fight in the dog”. Fighting should always be between two who are equally balanced, equally armed or in equal positions. George Bernard Shaw once said, “I learned long ago, never to wrestle with a pig, you get dirty and besides the pig likes it “. So, fighting offers a spice to life, adds color to life and is a way of venting out our feelings. But it should not be too often because if you happen to fight with the same enemy too often, you tend to exposé your fighting tactics and tricks, which will eventually make you, lose. 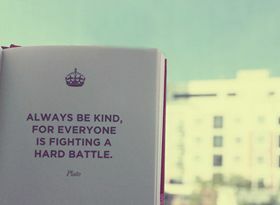 Another type of fighting is fighting with the words. This is less harmful as long as the words do not cause a scar in the minds of the opponent.